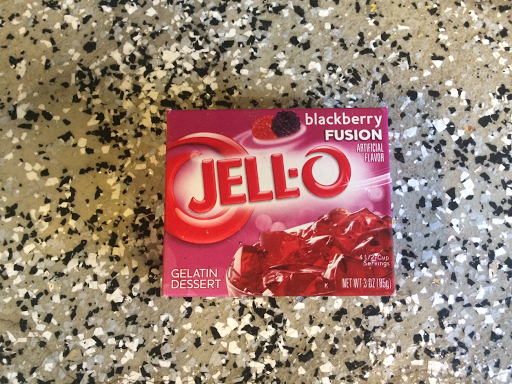 Because the Jello mix will start to gel quickly it is important to have all of your ingredients ready before you start. The cold water is also very important because if it isn't cold they will not sit right. My grandmother taught me a trick when I was younger, she would meausre out the water and then place it into the freezer until it was ready to be used. This way the water stays cold. 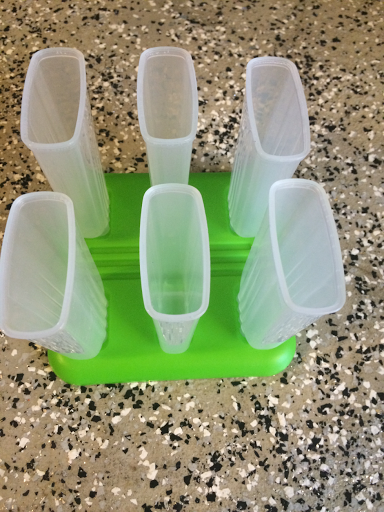 The first thing to do is to get your Popsicle molds ready for use. 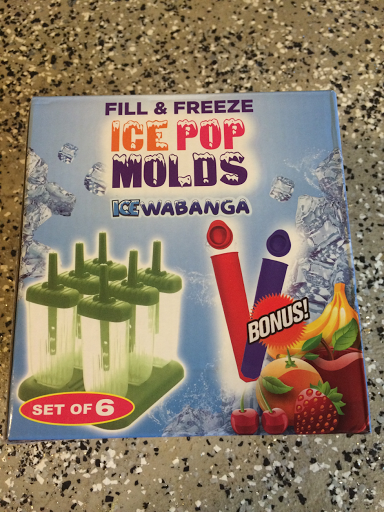 One of the things I like about the IceWabanga Ice Pop Molds is that the base and the Popsicle molds have grooves that hold the molds tightly in place. 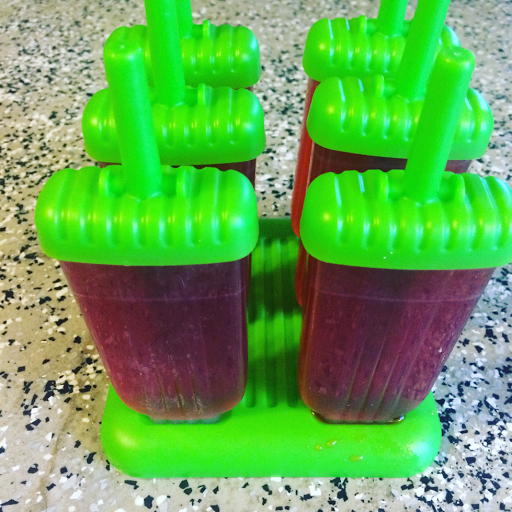 This makes pouring the liquid in easier and keeps the Popsicles from spilling over while you are putting them in the freezer. 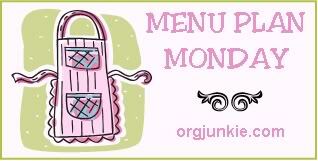 The next step is to mix together the Jello and sugar into a bowl. 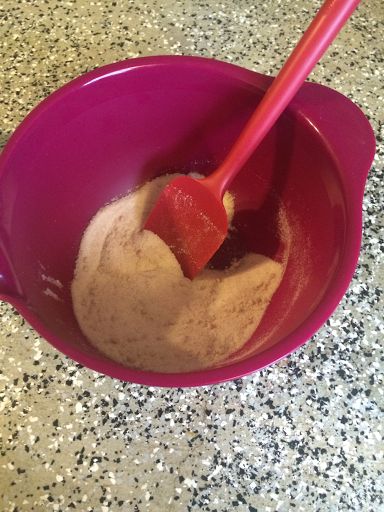 I used this bowl because it has a spout that makes it easy to pour the liquid into the Popsicle molds. 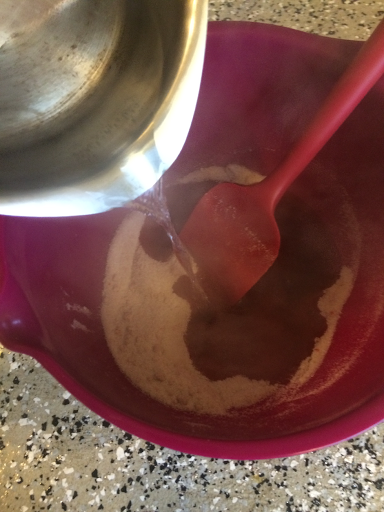 Next add in the boiling water. Then add in your cold water. 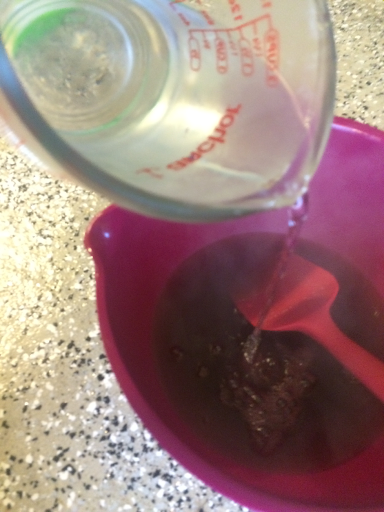 Once everything is mixed completely pour the liquid into your molds. 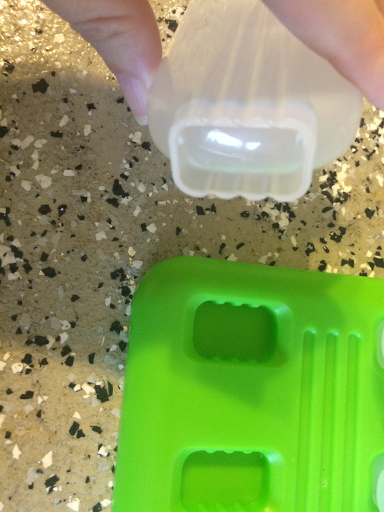 Once the molds are filled put the lids on them and place them in the freezer. 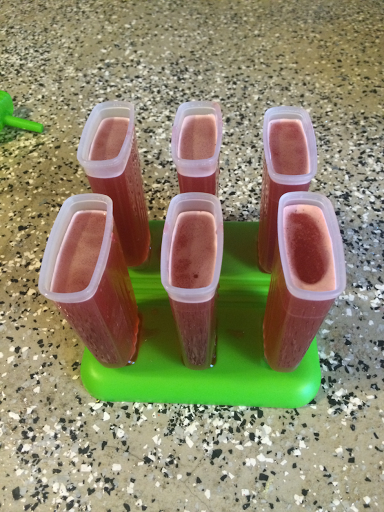 It will take about five hours for the Popsicles to freeze. When the Popsicles are frozen and ready to eat run the mold under hot water for a few seconds before trying to remove the cover. 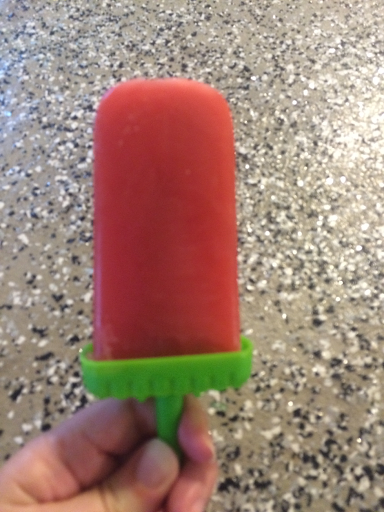 The hot water will release the Popsicle from the sides of the mold. I loved these IceWabange Ice Pop Molds. They made making the Popsicles easy. 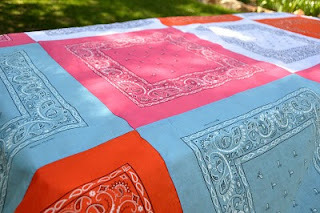 The quality seems to be good and I plan to use them quite often to make treats for my kids.